Want to know a not-so-secret truth about Spoonflower? We’re a family of employees that is as unique in our personal expressions as the designs in our Marketplace. We are bold, we are passionate, and we are proud to encourage a spirit of inclusivity and openness. 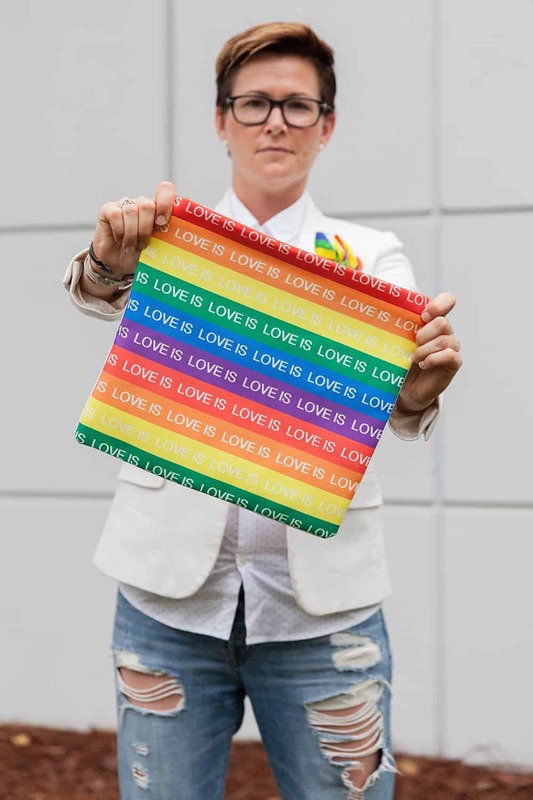 As we celebrate the LGBTQ community during Pride month, we also celebrate one of our own and her recent accomplishment in being named one of the 100 most stylish dapperQs of 2017. Scroll down the list to #43 for Sarah’s nom to the list! dapperQ is the premier style and empowerment website for masculine presenting women, gender queers, and trans-identified individuals. Dubbed GQ for the “unconventionally masculine,” dapperQ is a queer fashion revolution, one of the most stylish forms of protest of our generation.